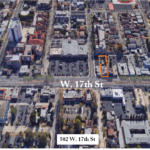 Santa Ana – Mix Use Multi-Tenant Retail / Medical Office [S O L D] – ONE GROUP REALTY Inc. Listing ID: 9572187 Date Created: 10/13/2017 Last Updated: 10/13/2017 Is this listing inaccurate? 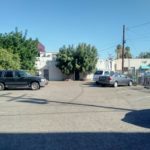 The property has a Total of 5,440 square feet of Building sitting on a 9,582 square feet land with the secured Iron Fence in the parking lot. 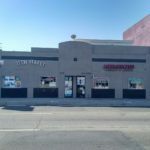 One Group Realty is proud to present this rare opportunity to acquire a Great Mix-Use Retail / Medical Office with Three (3) Bedroom Resident on the 2nd Floor. This property in the busy street front along the 17th St with a lot of exposure. The property was built in 1952 but well maintained by the number of years and buyers are welcome to verify with the City of Santa Ana. 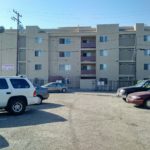 All Tenants are Month to Month Lease currently paying below the market rate. 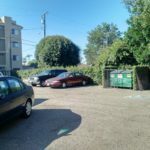 New Owner may consider this property for their own use or Re-negotiate with current tenants. 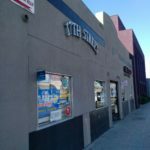 This well-maintained building is surrounded by many Retail, Medical, Professional Offices with easy access to freeway 5 and 22. If you are in the Medical Profession/Investor looking for right location, this may be the best for you.